I customize my fishing technique to fit the conditions. 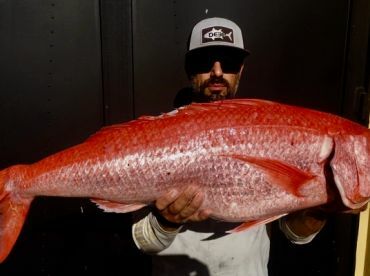 Since I have a degree in marine biology, I understand the different factors that come together in the oceans to create favorable catching conditions. I use hi-tech tools to find the fish. FUN FISHING ON OUR DAY OFF! MASON BOYEN RELEASES BLUE MARLIN! 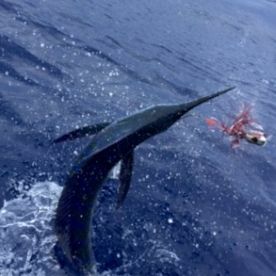 BLUE MARLIN RELEASE ABOARD "VAMOS" Capt. NEW BLUE MARLIN GROUNDS DISCOVERED! 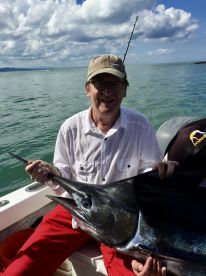 GREAT FISHING ON THE NORTH COAST, D.R. 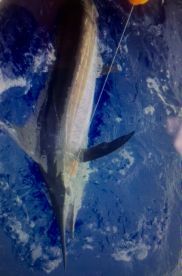 RED HOT BLUE MARLIN FISHING IN THE D.R. 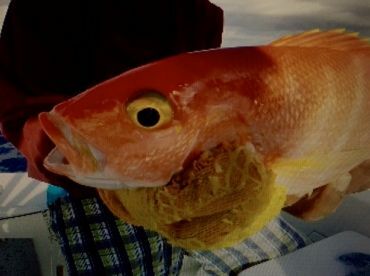 BIG DORADO BITE..FIVE HOURS OF CATCHING! I have been fishing with Capt. Randy as long as I can remember, both in the Florida Keys and in Costa Rica, so when he invited me to come down and fish with him on the North coast of the Dominican Republic, I jumped at the chance. I have always caught plenty of fish with Randy, mainly tarpon, under the famous 7-Mile bridge, in Marathon, Florida, and even when the fish weren’t biting, I always enjoyed listening to the stories of his adventures around the Caribbean. 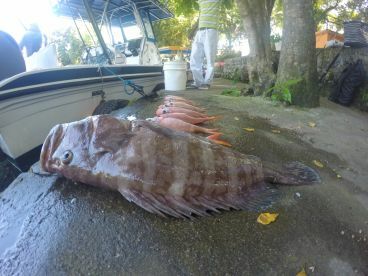 I was a little apprehensive at first, I had heard a little bit about the fishing in the Dominican Republic, but I didn`t really know that much, and I also had never heard of a “Super Panga”, as the Capt. Affectionately called his fishing boat. As it turned out, everything was even better than I had expected. The boat was great, roomy, stable and well equipped, and the fishing, was nothing short of spectacular. We hit a series of some kind of floating fish attracting devices that the fishermen put out in the water, and every time we got close to one we caught fish! 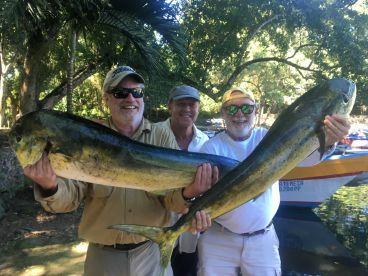 Mainly big Dorado, and about the time I was getting pretty tired of fighting these beautiful game fish, that`s when the marlin hit. Right out of nowhere, there he was! All lit up like a Christmas tree and ready to do business. We fought the 200# fish for a half of an hour, got it to the boat, and got a good look and the hook came out, which was fine with me, because we were going to let it go anyway. I`m already planning my next trip. Doesn’t seem like there are any fish to catch. Didn’t get a single bite. Gear seemed a little worn. Boat was ok. A little on the small size for a group of 4. Joshua…...Sorry to hear that you thought my brand new 30` boat was “A little on the small size for a group of 4”. 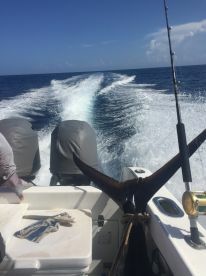 The boat is clearly featured on the FishingBooker website, and we fish bigger groups all the time without any problem. Yes, my gear is “A little worn”, but in perfect working condition, that is because we fish a lot and my tackle catches a lot of fish. I am sure you know that when the Capt. and crew try as hard as they can, sometimes the fish just can’t be made to bite. I offered to fish extra time, but you declined, who is to say that we couldn’t`t have caught a bunch of big Dorado in the last extra hour of fishing I offered you? As It was we fished an extra hour, no problem, I would have fished all day if you would have agreed. You didn’t`t mention that I insisted that you let me take you to a nice beach with crystal clear water to snorkel, even though you never advised me that you were bringing snorkel gear. I could have been better prepared for snorkeling if you had let me know ahead of time. Good communication is the key to a successful fishing and boating experience. I would be happy to take you on another trip free of charge to show you that I really care about your having a positive experience, I have been showing thousands of my clients a great time for more than 50 years now! I must be doing something right! Capt. Randy Rode is your man! I have known Randy Rode for more years than I can count, but let`s just say 25 as a number, as a boat Captain and businessman in the Florida Keys. His work ethics and business ethics could serve as a standard in the charter industry anywhere. In the Dominican Republic, he has worked from sunup to sundown, just to be able to fish there. He gave up all his luxuries in the U.S. and worked 15 hour days before he left the Florida Keys, just to be able to move to the Dominican Republic. Anyone who has ever fished with, or ever spent any time with the man will back these statements up. 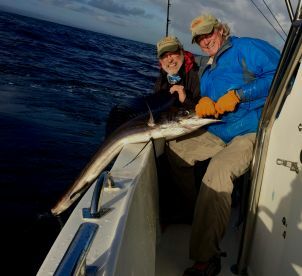 I could go on and on, but the bottom line is, if you want a fishing experience that you will remember fondly remember forever, in one of the most beautiful countries in the world, Capt. Randy Rode is your man. Our trip to the Dominican Republic was great….one of our best trips ever! If you ever have a desire to go somewhere where there are very few tourists, in a very laid back atmosphere, their fishing operation is second to none! 100% professional, and they catch fish. We had a blast with Capt. Randy. I have followed him all over the hemisphere fishing with him for the last twenty years! I only go with the best! Our trip to the Dominican Republic was great….one of our best trips ever! If you ever have a desire to go somewhere where there are very few tourists, in a very laid back atmosphere, their fishing operation is second to none! 100% professional, and they catch fish. We had a blast with Capt. Randy. I have followed him all over the hemisphere fishing with him for the last twenty years! I only go with the best! 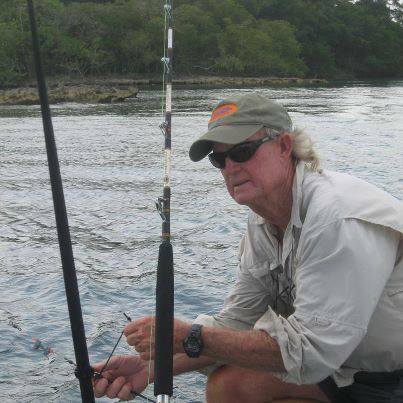 If anyone wants to go fishing in the Dominican Republic, check out my old pal Randy Rode. Let him know I sent you, and he`ll put you on tons of fish! If ya love to catch `em up, ya can`t go wrong with his deal.We`re coming back again as soon as we can!” Maybe we`ll sea you down there.